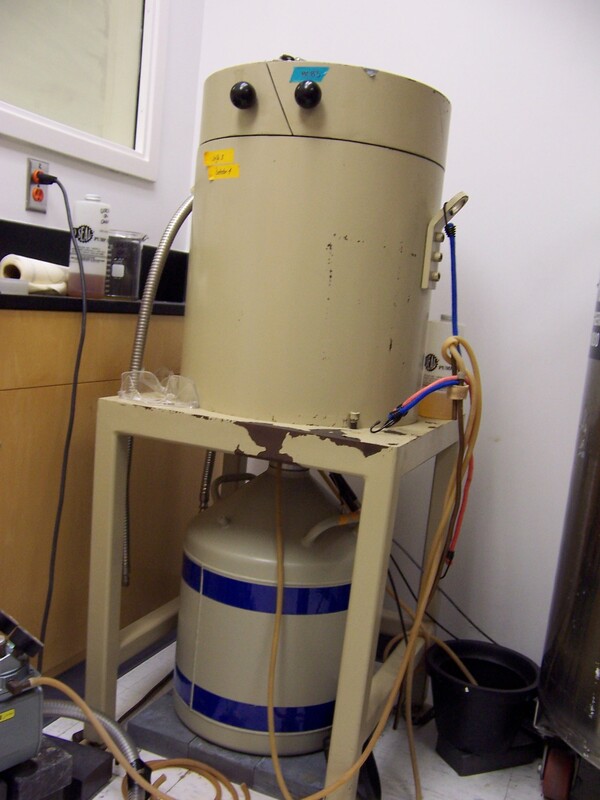 One of the commonly used radioisotopes in the Sediment Geochronology and Seabed Processes lab is 210Pb. This is a naturally occurring isotope that allows us to calculate sediment accumulation rates on 100-year time scales. 210Pb activities are counted indirectly through the use of its daughter 210Po, which also decays by alpha. 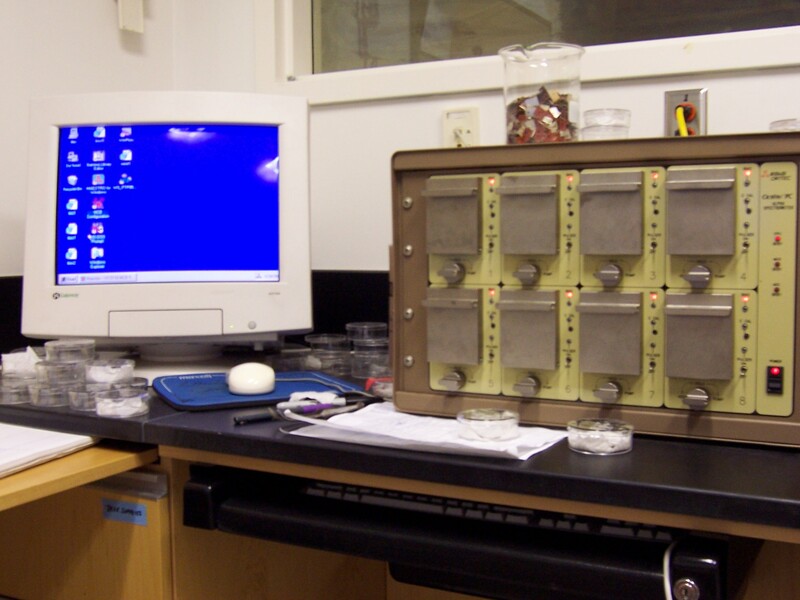 The octet contains 8 alpha detectors, which are used to count the alpha decay of 210Po. A number of other radioisotopes are used in various research projects in our lab that decay through gamma rather than alpha decay. Some of these isotopes include 137Cs, 7Be, 238U, and 234Th. Our lab has 4 detectors that are used to detect gamma decay. These include three Low Energy Germanium Detectors (LeGe's) and 1 Well-shaped intrinsic Germanium detector (WeGe). 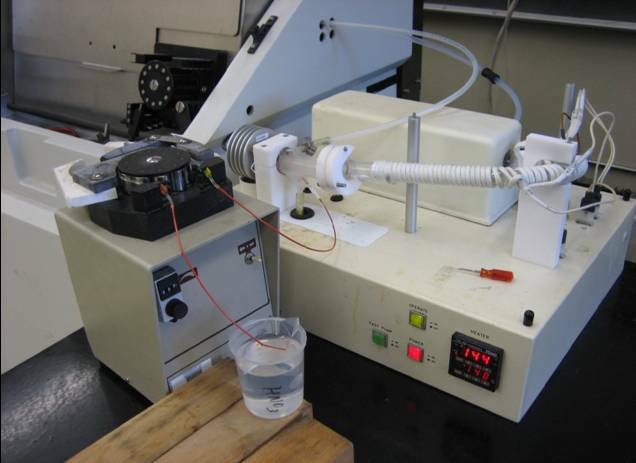 Our lab is currently developing a procedure for using plutonium in calculating accumulation rates in coarse-grained sediment as well as for correlating rates determined through 210Pb geochronology. 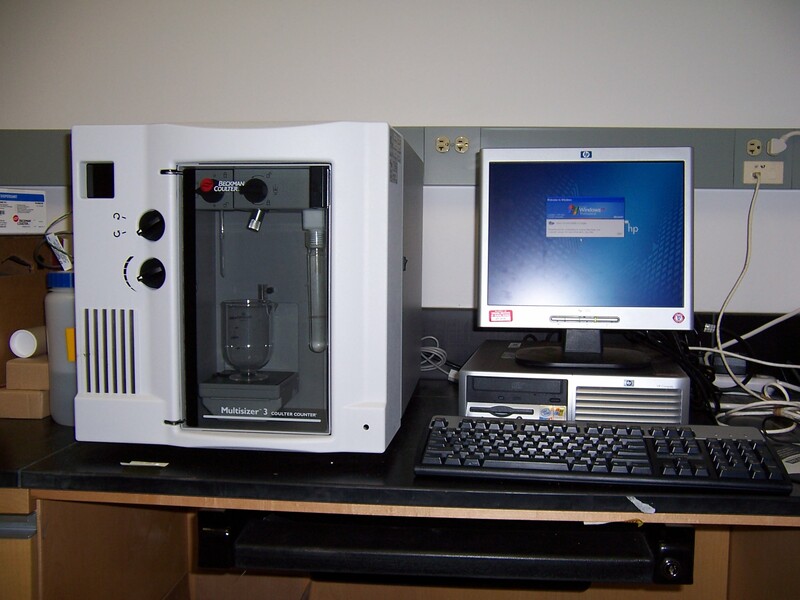 Samples will be run on an ICPMS owned by Michael E. Ketterer in Flagstaff, AZ. 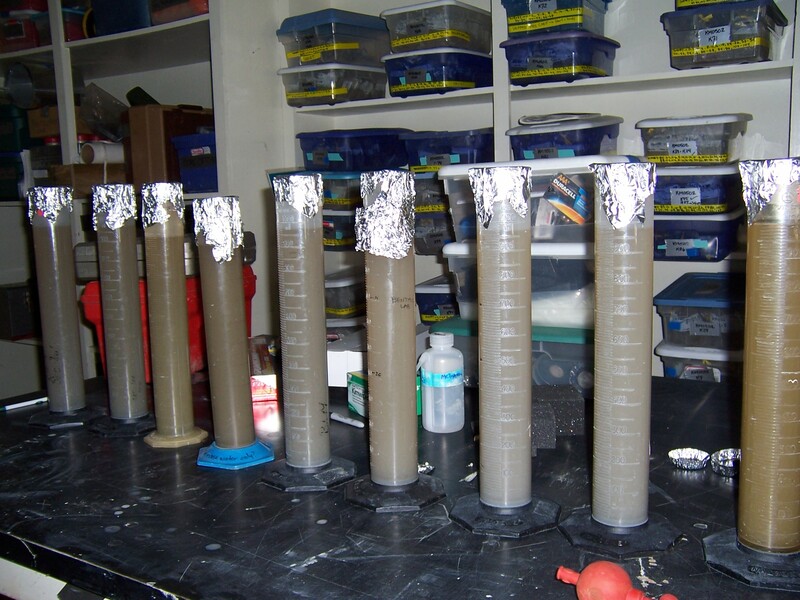 Sediment samples are sieved and pipetted in order to separate the sand sieved and pipetted in order bo separate the sand silt, and clay fractions. Once these different size classes have been separated they can then be analyzed or either the coulter counter for fine grain material or on the Rapid Sediment Analyzer (RSA) for the coarse grained materiallt and clay fractions. 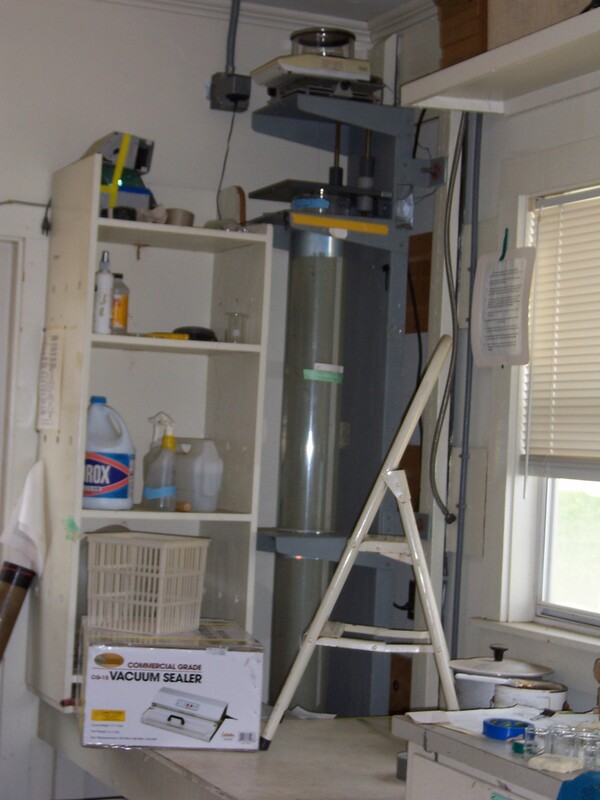 The rapid sediment analyzer (RSA) is used to analyze coarse grain material based on particle settling velocities. 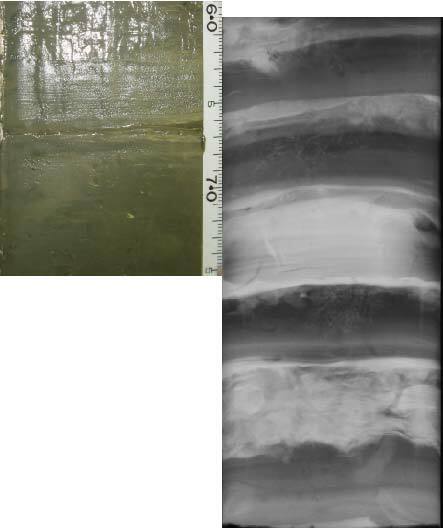 Sediment structure is observed through the use of a Varian Paxscan Digital X- radiographic panel. This allows us to determine the verying degrees of physical and biological reworking within a sediment core. The image to the left shows a core with its corresponding x-radiograph image. The varying degree of laminations is much more apparent in the x-ray image.